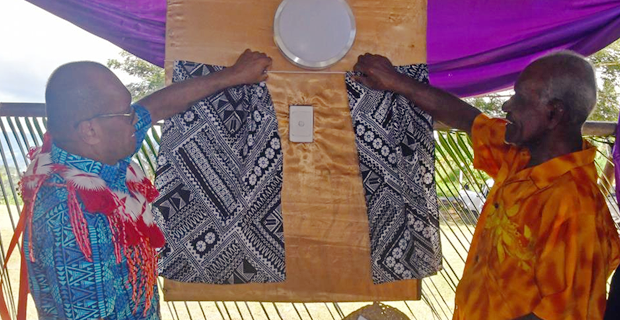 Brighter days are ahead for the residents of the Gaunavou Low-Cost Settlement in Vatukoula as the Minister for Infrastructure, Jone Usamate commissioned the Gaunavou Low-Cost Settlement EFL Grid Extension Project. While speaking at the event, Usamate says the commissioning signifies the importance of government’s attempt to providing power for all the communities in Fiji. Usamate has acknowledged the Management of the Vatukoula Gold Mine for the consent towards the extension of the power grid on the company land. He says kind gestures such as these can never be repaid nor can it be easily forgotten by the people of these communities. Usamate also thanked Energy Fiji Limited for making this project possible. He added that according to the 2017 census, 96% of our population has access to electricity.